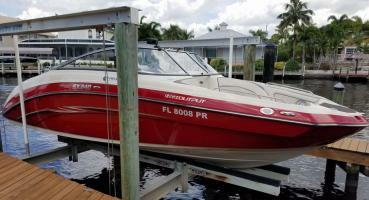 Allow yourself a highlight during your Florida vacation and rent your boat from a reliable boat rental company in Cape Coral with modern and very well maintained boats. 129 miles of the 400 miles canal system in Cape Coral flow into the Gulf of Mexico. 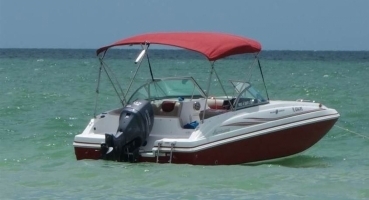 Almost all of our vacation homes have boat access to the Gulf of Mexico with boat dock and boat lift. 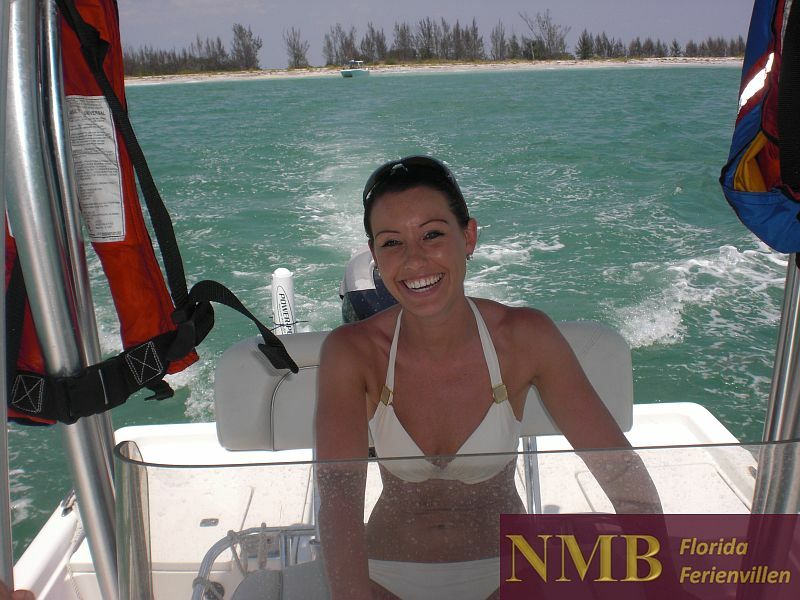 You can therefore rent your boat conveniently and online and receive everything from a single provider. 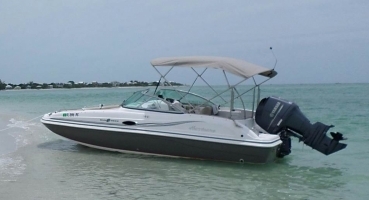 Our boat rental Cape Coral offers a wide range of boats - from beginner boats with 115 HP to very fast jet boats with 360 HP. 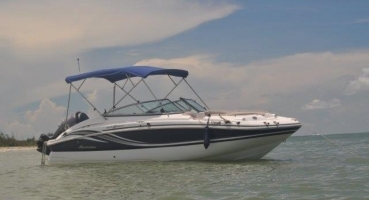 You do not need a boat license to rent a boat in Florida, you only need to be 21 years old. 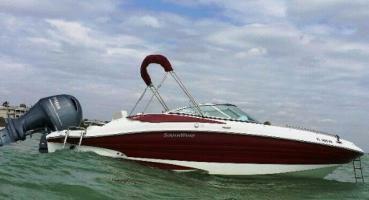 All mentioned boat prices of our boat rental Cape Coral are complete prices including tax - no hidden costs. 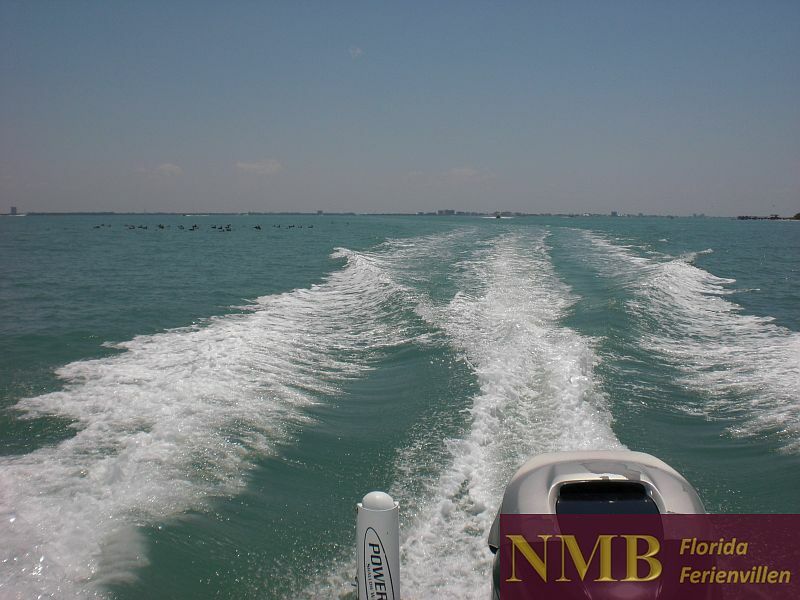 Take a boat tour to the beautiful islands of Sanibel and Captiva or moor across at Ft. Myers Beach for swimming or lunch. Often families of dolphins will be your faithful companion; it is not the porpoise, which occur almost everywhere - no, it is the original Florida flipper that can jump out of the water several meters high. Let yourself be surprised! You start your first cruise after a thorough briefing by the captain of the boat rental company, who will tell you the specifics of the local waters. Of course, he will tell you some secrets, known only to Florida insiders. You can also rent a boat on a daily basis! 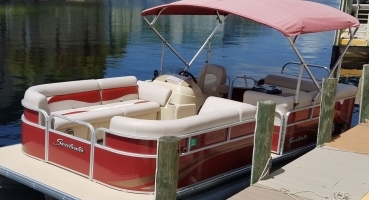 If the location of your vacation home is unfavorable (no water location or freshwater canal) a free boat dock can be provided with the rental company!! Choose your dream boat and contact us! Enjoy "boating de luxe" with our YAMAHA Jet Boats and convince yourself of the unbelievable responsive handling at slow, medium and top speeds.